Don’t you love the amazing feeling you get after completing a killer workout? But wait; why do your feet and calves hurt? If you know you’re using correct form with your movements, you may not be wearing the correct TYPE of shoe for your workout. When I first became a fitness instructor I encountered this problem; I was constantly in pain due to shin-splines until I discovered I was using an everyday tennis shoe for cross training workouts. Boy, did my world change! The correct type of shoe for your workout will enable you to perform comfortably, and with safe form. If you are experiencing something similar to me, or you are curious to what type of shoe would optimize your workout, I have the guide for you. Recommended in an article call, How to Pick the Right Shoe For Any Workout, if you are planning to do more trailing walking/running it may be beneficial to find a shoe with a slightly thicker sole to prevent any ground debris from harming your feet. However, road running shoes will work just fine; they are just less protected from punctures. The strong support and stiff foundation allows for powerful movements keeping your weight evenly disturbed. Depending on the type of foot you are working out on, more cushion is needed on hard surfaces, and less cushion needed for padded surfaces. Cross Trainer shoes are made for multiple purposes. They include the flexibility of a running shoe, but the lateral support of a tennis shoe. However, they are not meant for heavy use in once disciple, they are made to withstand a variety of workouts casually. ***Group Fitness Cycling Bikes Compatible. -If you tend to notice your shoes wear more quickly in a certain area, check out Real Simple’s article on what characteristics to look for to help counter early wear and tear. 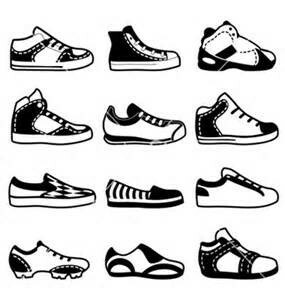 -If you found the type of shoe you want but need help choosing the fit for you, go to Kathleen Stone’s article. The next time you are thinking about what athletic shoe to buy, consider what workouts you do the most. Then, search out for the shoe that provides all the characteristics you need. Thank you for your time! Until Next Time… Carry on. We all look up to our favorite “fit” celebrities and want to look like them. From big guys like Dwayne “The Rock” Johnson, or shredded women like Jillian Michaels or Maria Menounos. But there a lot of celebrities that get overlooked for the shape they are in, and they have more attainable goals for your body than many juiced-up Hollywood actors. Here are a few men and women celebrities that are in some seriously good shape, as well as what their workouts are to get them that way. Sets: 3 Reps: 10 (each side) Rest: 0 sec. Sets: 3 Reps: 20 Rest: 90 sec. Sets: 3 Reps: 3 Rest: 0 sec. First to free-throw line and back, then to half-court and back, then to opposite free-throw line and back, then full-court and back. Set 1: pronated grip. Set 2: neutral grip. Set 3: supinated grip. All of this in total of 3 rounds. This is a great example of a full body circuit training. And if Adam Levine can make time for it between The Voice and Maroon 5, you sure can. MOUNTAIN CLIMBER – Reps: 20 sec. Rest: 10 sec. PUSHUP – Reps: 20 sec. Rest: 10 sec. JUMPING LUNGE – Reps: 20 sec. Rest: 10 sec. HIGH BOX JUMP – Reps: 20 sec. Rest: 10 sec. 3-PART BATTLE ROPE VARIATION – Reps: 20 sec. Rest: 10 sec. BALL SLAM – Reps: 20 sec. Rest: 10 sec. BURPEE – Reps: 20 sec. Rest: 10 sec. LEG LIFT – Reps: 20 sec. Rest: 10 sec. This is called Tabata training, which is a form of HIIT training (my favorite kind for awesome results), which is essentially doing the exercise at high intensity for 20 seconds then a 10 seconds rest then repeat over and over until you hit anywhere between 3 and 6 minutes. If you are a beginner, my trick is to flop the numbers and make it 10 seconds on and 20 seconds off for the first and second time trying Tabata. PUSHUPS – 5 sets x 3 reps.
Other than the rows and a place to do pull ups, no equipment is needed, so this is great for on the go or at home. I hope you have enjoyed reading about the workouts, and know you will see results with any of the ones you try! Get to look like your favorite celebrity! As we get older, we have less and less outlets in life that offer adult programs and communities for staying in sports. From early education, communities offer many opportunities for kids to be active and partake in organized or unorganized sports. Even in college we have lots of opportunities to be in intramurals. But what do you do once you are out of college and in adult life? 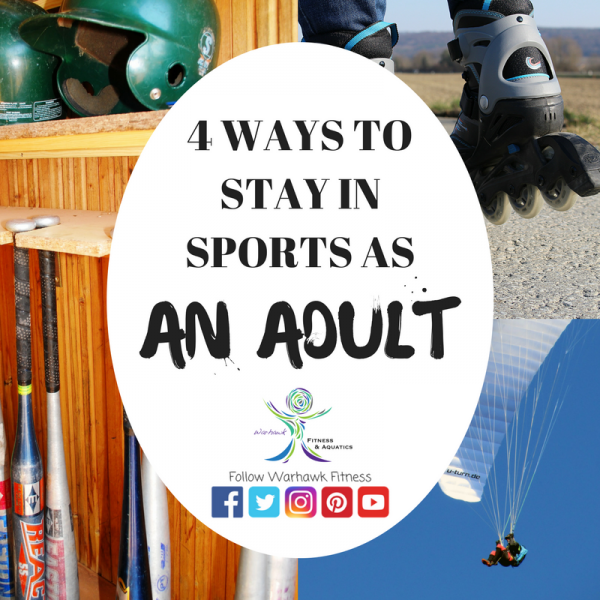 The desire to be part of a team may still be there or just to be active, so here are 4 ways to get into sports as adults. 1 – Check out your local leisure center/community center. This is the best way to check out what your specific area will have to offer you close by. These places are also where you can get general information on things like races/marathons, non-traditional sport events, and almost anything you need to know about community-run athletics. Basketball courts, swimming pool, tennis court, etc., and inquire about things like leagues and team for adults to be a part of. Even just a local gym is great for this. Local fitness centers or gyms typically have information or connections to clubs or organizations for things like walk/runs or community teams. 3 – It may be time to try solo sports. As we get older, we tend to appreciate our hobbies to also be our time to ourselves and give us time to think, de-stress, and just to be alone. Sports like Rock Climbing, Indoor bouldering, acrobatics, dancing, martial arts and snow sports are all good examples of sports that are equally fun on their own and performed by yourself as they are with others. Now that you are an adult (or at least trying to be one), you can attempt activities you know have time, money, and experience (aka are old enough) to do! Like whitewater rafting or mountain climbing. Take all of these into consideration while trying to either get back in or starting anew with sports and athletics all together. You have more options than it seems! So in addition to asking friends or colleagues, try all these tips out too. 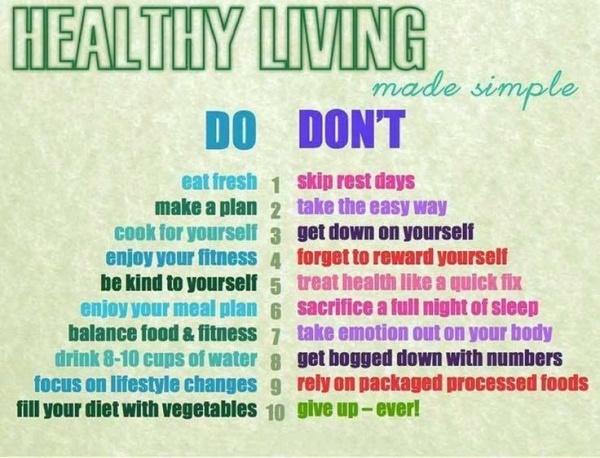 Exercise and working out is extremely vital to living a healthy, balanced lifestyle. However, almost everyone (including myself) thinks they are the fitness pro when it comes to exercise. There are a plethora of different myths and legends of what’s good/bad for you in the gym. Although everyone has their own niche, I am going to go over a few Dos and Don’ts for your next workout. For starters, it is tremendously important to hydrate yourself prior to going to the gym. Not only does the risk of dehydration skyrocket, but you may also notice yourself feeling tired and very lackadaisical in many of your workouts if you don’t drink enough. Another important tip for continuing to build strength while exercising, is to set new goals for yourself. New goals have many different benefits, which include: staying motivated, having fun while trying new things, and realizing what your body accepts or rejects. Along with these, you will notice your strength lacking growth if you just do the same exercise every day. It’s so unbelievably important not to try exercises you haven’t been taught or trained on. Although I do emphasize on trying new things, seeking assistance or help the first time is the way to go. By doing certain lifts incorrectly, your body tends to cheat itself by using muscles the lift does NOT train, and will most likely lead to injury. Although you may really like working a certain muscle group or doing a certain workout, don’t get into an unbalance. Having versatility in your workouts is important for keeping proportionality in your body. In addition to this, over-training one muscle can drastically the effect said muscle group and may even make it weaker over time. I would say one of the most important things to take away from this, is to realize that you may not always be right while exercising, and believe me there is nothing wrong with that. Seeking assistance with a trained professional is never a bad thing in anything you do, especially in working out. Keep some of these tips in mind during your next stop at the gym.